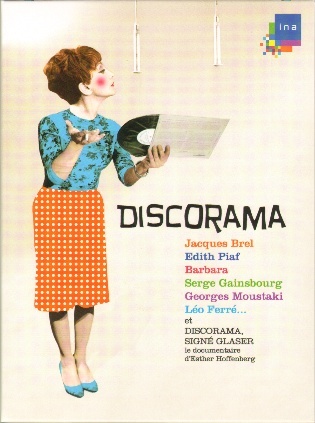 Out of nowhere, and unknown to the collectors that this was on film, a DVD was released in France of the French TV show, Discorama, highlighting some of the top events that occurred on this show over a span of 15 years. Hosted by Denise Glaser, the show focused on the French pop culture and many notable guests appeared on this show. What nobody realized was that Vangelis himself appeared on the show back in 1972. We are given a short (around 4 minute) black and white clip of Vangelis performing in the studio with his keyboard and percussion, then answering a few questions. The footage is amazing, and to see Vangelis like this is a rare treat. It is a bit pricey to have to spend 30 euros for a 3 DVD box set for a short clip like this, but for me, it was worth it. Where else can you find such a thing? Order at the French version of amazon. 2008, 3 DVD set, mono, 4:3, Region 2, PAL, in French (no English subtitles), 28 page booklet, in slipcase.